Wednesday is a big day for country fans and country music artists, because it marks the 49th annual Country Music Association Awards. Fans are pumped to see their favorite musicians walk the red carpet, take home awards, and perform. Of course, they probably also can't wait to see Carrie Underwood and Brad Paisley host, again. 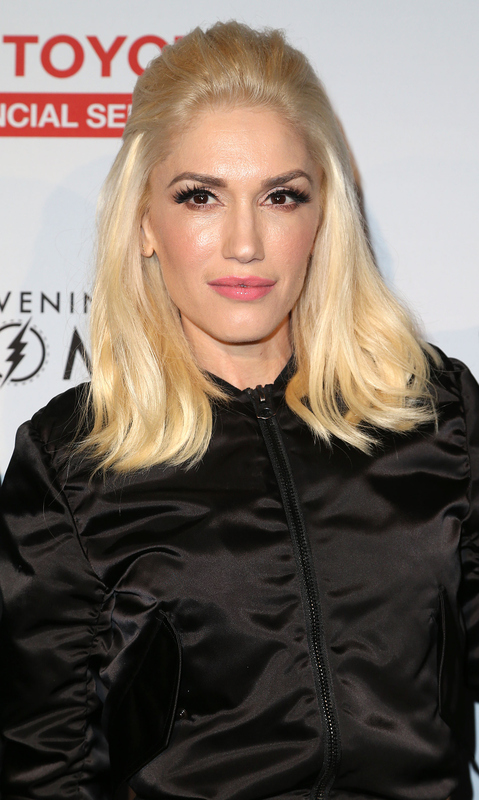 There might also be some individuals wondering, "Will Gwen Stefani be at the CMAs?" That's a very good question, especially since there are rumors that she and Blake Shelton are dating. As for whether the lead singer of No Doubt will be in attendance, according to one report, she might be there — and possibly even by Shelton's side. Let's focus on the word "might," because this news isn't concrete. On Wednesday, TMZ reported that The Voice judges hopped a private jet together to Nashville. TMZ also claims that the two have yet to decide if she will actually go to the awards show. So she is just in Nashville hanging with Shelton? Whatever the case, "sources close to Gwen" told TMZ, they are not "in a relationship right now," but they are reportedly hanging out "a lot." Another source added, "They could be in a relationship in the future but right now they're just good friends." Hmm... if this report is true, why else would Stefani be in Nashville other than to attend the CMAs and maybe go with Shelton? I'm so glad you asked. First, if she did fly to the Tennessee city with Shelton, maybe they were just plane-pooling, because they're friends? I mean, there is a good chance that Stefani has some Nashville events booked. After all, she is creating new music and is a judge of NBC's The Voice. On Monday, she even sat down with Carson Daly to talk music and what's ahead for her music-wise. There's a possibility she is in Nashville doing some promotional work. Whether Stefani will show up at the CMAs and/or walk the red carpet with Shelton remains to be seen, but if it does happen, it will definitely make headlines. Also, seeing as Shelton's ex-wife Miranda Lambert will be at the CMAs too, well, things could easily get awkward. But, it's also important to keep in mind Stefani could be in the same city as Shelton for a completely different reason than because they are "dating" and because of the CMAs.